Lisa “Longball” Vlooswyk B.Ed., B.A. Lisa is an 8-Time Canadian Long Drive National Champion for women. She placed Top 5 at the 2016 World Long Drive Championships, she is an LDA Tour Champion and a Callaway Golf sponsored athlete. Lisa currently holds the Canadian Women’s Long Drive record at 350 yards 2 feet 2 inches. 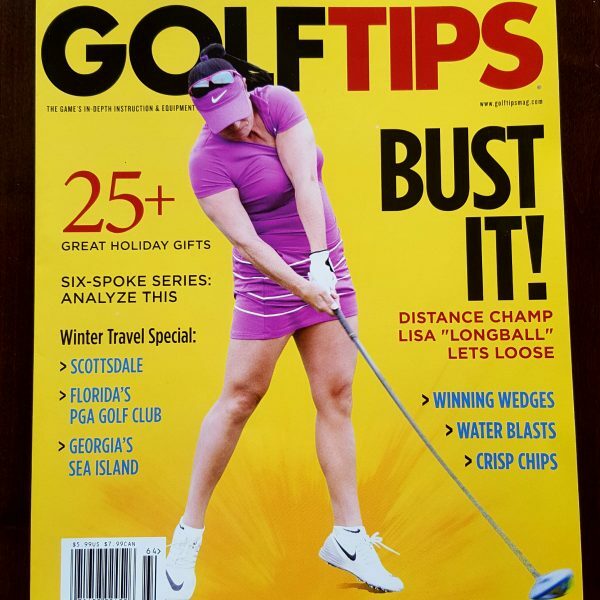 In addition to her competitive career, Lisa is a Golf Journalist for several publications including Inside Golf Magazine and has had her own column in Golf Digest Canada. Lisa is a successful Keynote Peak Performance speaker at Conferences and Conventions and is a Golf Entertainer for many Corporate/Charity Golf Tournaments across North America including events on the PGA Tour and Champions Tour. Believing strongly in women’s golf, Lisa started the Lisa Longball Golf School for Women which has been wildly successful both in Canada and the USA. for your Corporate, Charity or Golf Event. Lisa is an 8-Time Canadian Long Drive National Champion. She currently holds the Canadian Long Drive record at 350 yards 2 feet 2 inches. Lisa is a Successful Keynote Peak Performance Speaker, Golf Entertainer, Brand Ambassador and Golf Journalist. Would you like to be the first to know about Lisa’s NEW Golf School Dates, New Instructional Videos and Special Promotions? Please subscribe to Lisa’s mail list. Check to agree to receive emails from Lisa.